The exhibitions are displayed in three large halls, each with a unique display style. A source of education, information and inspiration, they are a fourfold combination of art, science, culture and spirituality. Artistically mesmerizing, scientifically stunning, culturally moving, and spiritually elevating, the exhibitions create amazing environments capable of transporting viewers to ancient India. A balanced fusion of ancient values and wisdom and the best of modern media and technology, the exhibitions provide a powerful, soul-stirring experience of Hindu heritage and universal values. The three halls are: Sahajanand Darshan – Hall of Values; Neelkanth Darshan – Large Format Film; Sanskruti Darshan – Cultural Boat Ride. 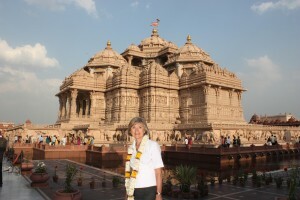 A presentation of our glorious culture and beliefs; the creation of faith and confidence; and as a result of that, a life full of integrity – these three things are presented by Akshardham. It’s interesting to see another religion, another culture; it’s not something that we are exposed to back in Australia. 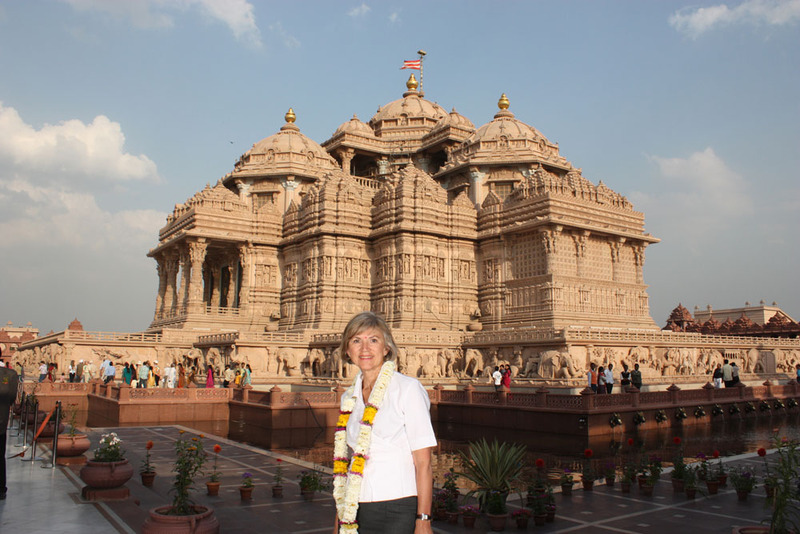 A fascinating glimpse of Indian religion and culture, past and present. Ticket counters close at 6:00pm. Entry to exhibitions on first come first serve basis. Expect long waiting time on busy days. Rest rooms are located at entry and exits of exhibition buildings.